Author: Marchmont Capital Partners at 7:13 PM 0 comments. Author: Marchmont Capital Partners at 2:58 PM 0 comments. 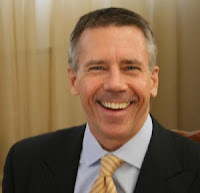 Marchmont Advisory Board member, and internationally respected expert in early stage technology commercialization, Thomas Nastas, is preparing a series of blog postings that reflects his view of the history and trial and error based development of Russia’s start-up community. We are glad to offer you this time the intro to the series. Other postings will follow. What are the elements of a start-up community? What can you do to startup a start-up community in your city, or help it do more—faster? Venture investor Brad Feld (Foundry Group, Boulder, Colorado, co-founder of Tech Stars, blogger Feld Thoughts) writes about these subjects in his other blog StartUp Communities with his new book titled ‘Startup Communities: Building an Entrepreneurial Ecosystem in Your City,’ to be published in the fall of 2012. If you don’t know Brad, he was and remains the protagonist and instigator that transformed Boulder from a sleepy Rocky Mountain hippie town into one of the most vibrant entrepreneurial tech start-up communities in the United States. It is his individual contributions to this success that makes Brad’s advice sought by investors, government policy makers and entrepreneurs from around the world. Recently Brad accepted my offer—I contribute a post on the startup of Russia to StartUp Communities. As I started writing, one subject led to another, with the result too much for one individual post. Over the next few weeks I’ll upload the content as a series of posts for you: the investor, the entrepreneur, the Government policy maker, staff of international development finance institutions. 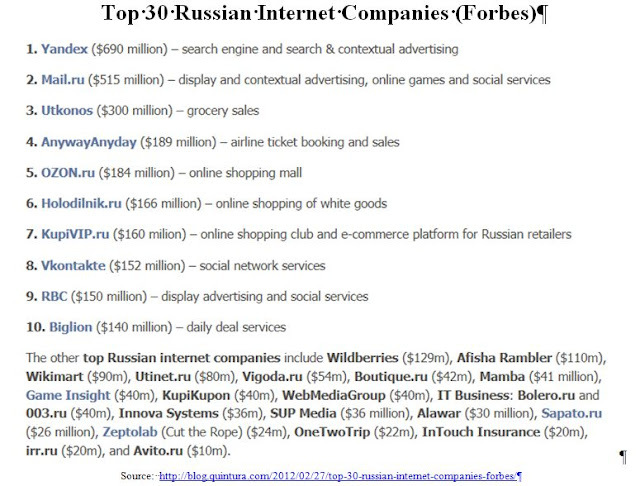 1) What is the ‘spark’ that ignited the start-up of Russia? 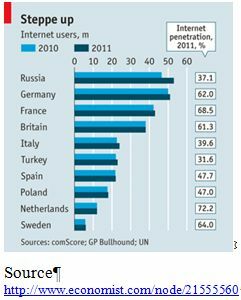 2) How does the ‘start-up’ of startup communities differ—emerging markets vs. developed countries? 3) Why is the US entrepreneurial model of experimentation, trial and error and pivoting a death sentence for entrepreneurs in the emerging markets? 4) How does the culture of risk and failure in emerging markets impact investor DNA—what they finance and what they won’t? 5) What is Clonentrepreneurship, where is it spreading from and to, and why is it a model for more—innovation, startups, and venture investment? There is much happening in Russian cities like St Petersburg and Novosibirsk as two regional hubs of innovation and entrepreneurship. Even so, I’m confining my discussion to Moscow since what we are seeing in the Russia capital is being replicated in other cities in the Russia Federation, only to a lesser degree. Here’s a preview of the topics in each post. The Controversy of Clonentrepreneurship: Cloning the Idea or Hatching a Start Up? Clonentrepreneurship or Alternative Paths to the Start-up of Start-up Communities? I hope that these subjects will help you to ‘Scale Up,’ more entrepreneurship, more investment and more tech start-ups in your country, with Russia as one experience to learn from. How might this happen you ask? Frequently a mismatch exists in the business models that entrepreneurs launch in the emerging markets and what local investors finance. Struggling to raise money, entrepreneurs label capital as risk adverse with investors blind to potential, seeking guarantees and sure things. Investors respond that entrepreneurs of venture stage companies fail to transform potential into paying customers fast enough and in the volumes needed for the business to scale. Add in their need to generate a rate of financial return required for their own survival, and it’s logical why local investors in the emerging world finance expansion stage companies. This conflict spills into the public stage with Governments called to action. They conceive and invest taxpayer money to catalyze an early stage tech venture capital industry to fill market voids. What happens next is perplexing to the creators of these investment schemes. These new funds have a mandate to invest in venture stage tech companies, but they behave differently in execution. They invest in tech, but at the growth stage of company development, not at the startup stage. But what if seed and early stage business models exist with the revenue growth characteristics of expansion-stage companies? If such business models do exist, what are they? Can they impact the DNA of local investors to risk and catalyze investment at the earliest stages of company formation? And can they spark the start-up of a startup community? 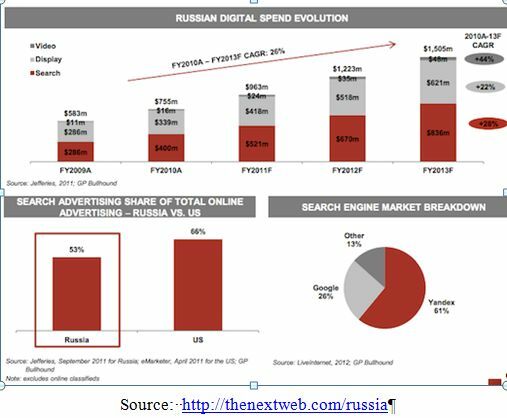 While such business models seem to be an illusion and counterintuitive to the natural evolution of market development, I explain in this series that such models do in fact exist in Russia—& beyond. Reactions & opinions welcome in the comments box or send directly to me at mailto:Tom@IVIpe.com. You may also want to visit Tom's personal website. Author: Marchmont Capital Partners at 12:05 PM 0 comments.